It’s that time of the year, when your lips feel like they’ve been used for pot scourers. Mine go flaky at the first hint of icy weather, then come over all super-sensitive when faced with central heating, wind, snow, hot shops and central heating. It’s lip-balm weather people, so get yourselves some good protection. We always get lots of lip balms in beauty press goody bags, they’re small and relatively cheap so make good freebies. Consequently I’ve tried LOTS. 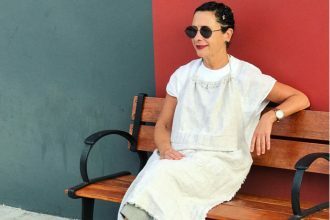 Without doubt, the very best one I’ve ever used was given to me recently by The Beauty Bible’s Jo Fairley, who was recently described wonderfully (by the excellent beauty journo Alice du Parcq) as the Meryl Streep of beauty writing. It is the Beauty Bible’s own make – the only thing they make as far as I can see- and is so good I can’t see myself ever buying anything else. It’s called The Beauty Bible Aloe & Vitamin E Lip Balm and is made from good stuff; aloe vera oil, sesame seed oil, shea nut butter, avocado oil, macadamia nut oil…it sounds good enough to eat. It’s light and smooth to apply, so much so that I’ve also been using it to soothe the skin on my nose, where it’s rubbed raw with sniffing and tissue-wiping due to the inevitable winter cold. Buy it here, it’s well priced at £6. If you want a little glamour with your lip-balm ritual, then look no further than the Haeckel’s Seaweed and Sea Lavender Lip Balm, with its matt gold pot of unctuous, waxy loveliness. This smells divine and one can’t help feeling a little better having applied it from such a luxurious vessel. If you’re a real nerd, you can soak all the labels off and just have a gold pot, just sayin. It’s more beeswax based, so a little stiffer to apply, but very lovely. I’m also a fan of Fruu, a brilliant brand that recycles fruit pulp waste into simple formula, effective beauty products which is also vegan friendly. I wrote about it here. This really is good value for money and tastes good too. Thanks for these tips on lip balms. My current favs are Burts Bees and Nuxe but these sounded so good I’ve just tried to purchase the Beauty Bible and Haeckels and both out of stock….everyone’s read your article! My lips react badly in both cold and hot weather and quickly get flakey and sore if I’m not careful. 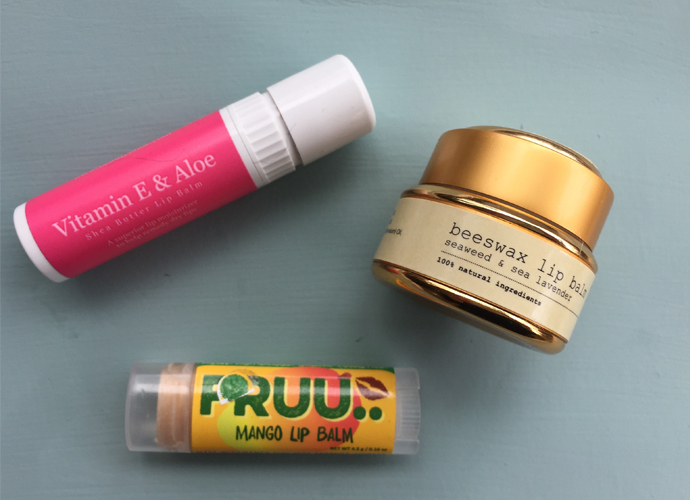 The majority of lip balms actually make them worse – I must be sensitive to an ingredient in them and I’ve thrown away lots. My top tip is the Body Shop’s Vitamin E lip care with wheatgerm oil and an SPF. It is brilliant, fixes them straight away and costs about a fiver. It’s the only reason I ever go into a Body Shop and I’ll have a major panic if they ever discontinue it! The best I’ve found if Lanolips 101 ointment. I find beeswax and shea butter are too slippy on my lips and don’t moisturise enough. Lanolips really does the trick and lasts for ages. Elizabeth Arden 8 hour lip balm is very good and lasts forever.